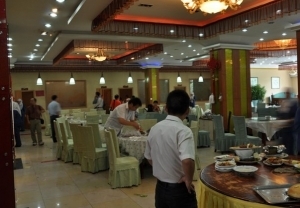 Xining Halal Restaurants, Xining Muslim Restaurants, Halal food in Xining, Muslim Food in Xining. There are two ethnic groups who believe in Islam in Xining, one is hui people and other is Salar people. 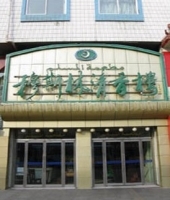 The total Muslim population in Xining is about 1.1 million which takes up one fifth of the total population of Xining. Muslims in Xining are in favor of Hand Pulled Noodles, Guokui (a kind of pan cake), beef and mutton, especially Boiled Mutton Eaten by Hands. On festivals, they deep-fry Youxiang(a kind of cake), Sazi (Fried Noodles), Huahua and treat guests with these delicious Hala food. Like most Muslims in Northwest China, they like drinking Bowl tea (tea served in a set of cups) with Longan, Crystal Sugar and other dried fruits. 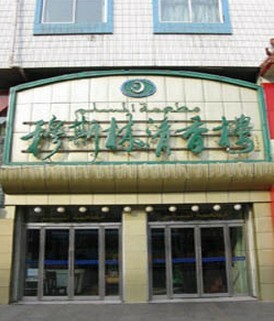 In Xining, you can also find Xinjiang Uyghur cuisine; Lanzhou beef noodles is served in many small Halal restaurants in Xining.